Metallica are streaming previously unreleased live video of the title track to “Master Of Puppets” from an appearance at the 1986 Roskilde Festival in Denmark as the latest preview to the November 10 release of a series of reissues of their album classic of the same name. 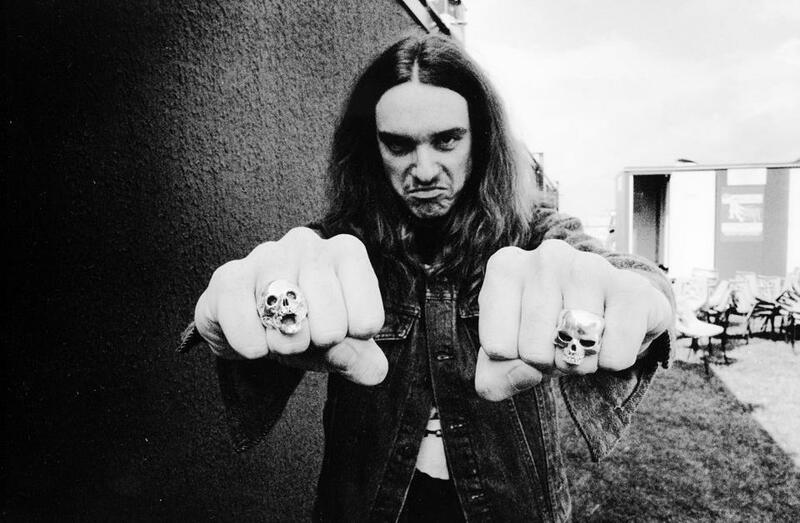 The July 6, 1986 festival footage sees the group in full flight with bassist Cliff Burton, who would die in a tragic tour bus accident in Sweden just two months later. After an extensive series of auditions, Jason Newsted was added to the lineup to handle bass duties for the remaining dates on the tour and, as it turned out, for the next 15 years before his departure in 2001. The unreleased live recording is featured on the 2017 expanded editions of “Master Of Puppets”, including a 3-CD set that presents the remastered album, a disc that is a combination of rough mixes, demos and an interview, and a third disc featuring a mix of live songs that are sequenced into a typical set list from the Damage, Inc. tour. Metallica just completed a fall European tour in support of their latest album, “Hardwired…To Self-Destruct”, and will next headline a November 9 benefit concert at San Francisco's AT&T Park for those affected by the recent wildfires in California.